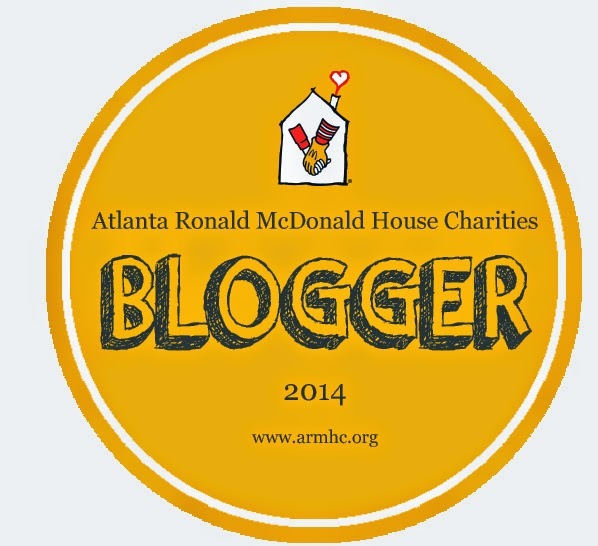 Two Anniversaries for Atlanta’s Ronald McDonald Houses! This month, ARMHC will celebrate the anniversaries of the Gatewood House and the Peachtree Dunwoody House. Collectively, the two Houses have served over 18,600 families. 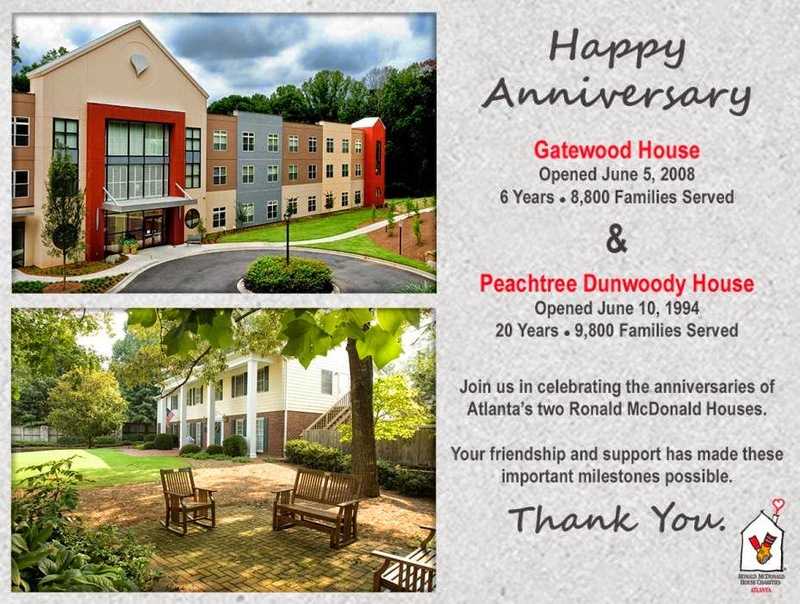 The Gatewood House will celebrate 6 years of serving families on June 5th, and the Peachtree Dunwoody House will celebrate 20 years of serving families on June 10th. Thank you so much for your contribution in helping us achieve these two important milestones. Without your time, support and donations, we would not be able to keep our doors open. Atlanta Ronald McDonald House Charities provides a home away from home for families with ill and injured children who must travel to receive treatment at Atlanta area hospitals. A recent study concluded that families who stay together at a Ronald McDonald House believe their ability to stay nearby helps their child recover. Atlanta's two Houses provide a safe haven and a restful refuge, allowing families to focus on their child's health and care. This ARMHC is launching a new semi-annual e-newsletter. We higly encourage you to join their email list: www.armhc.org/email-sign-up. The June e-newsletter will include a special Father’s Day story! Feel free to share it with your family and friends.